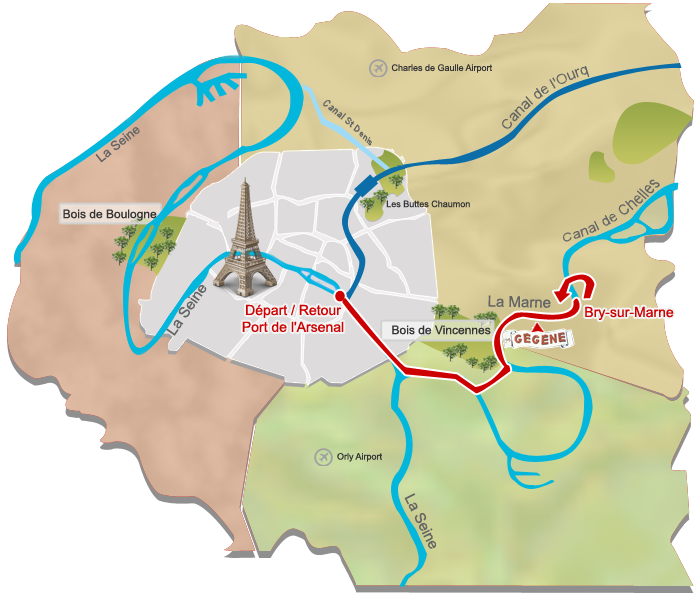 Discover Paris and its surroundings along The Seine and the parisian Canals. 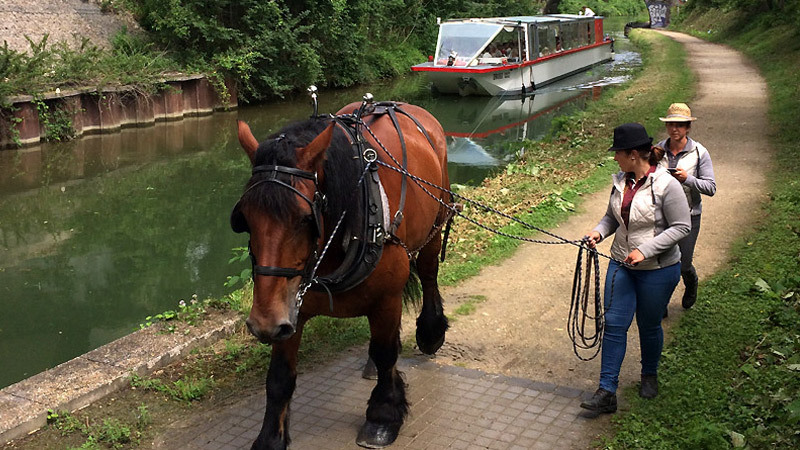 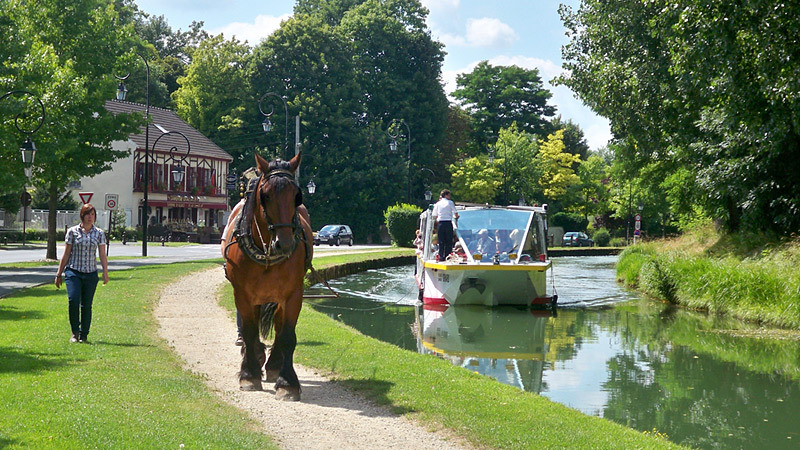 Discover Guinguettes mood and Impressionists with a navigation on the Marne or the Seine. 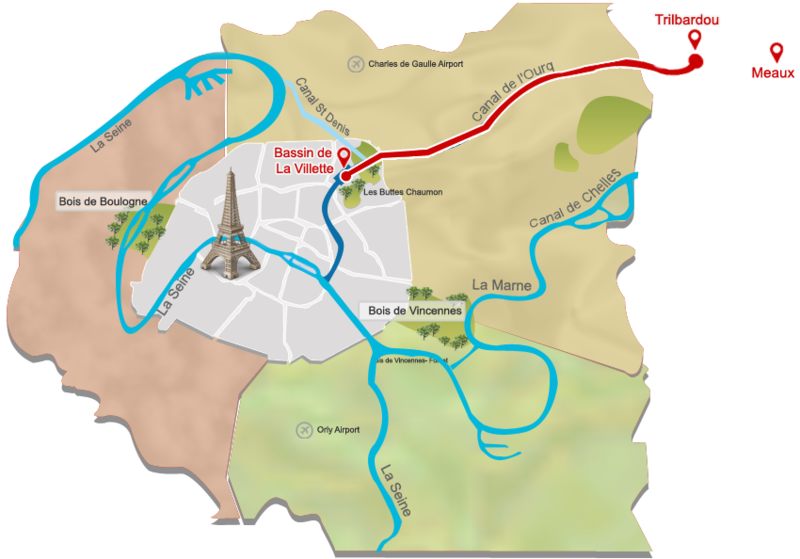 We propose various itineraries and topics : romantic cruise, legendary, historical, on the river Seine, the river Marne or the Parisian canals. From the Arsenal Marina to the Parc de la Villette or inversely. 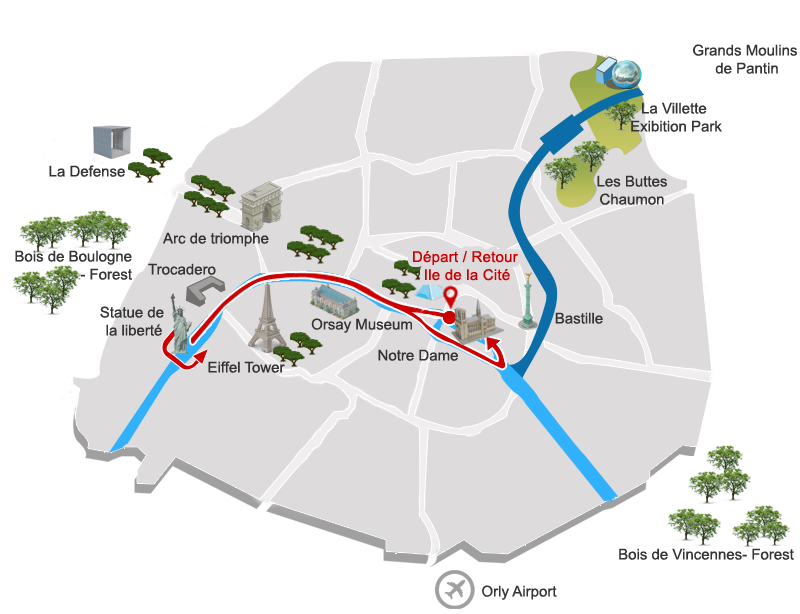 A romantic and out of the ordinary trip in the heart of « Parisians’ Paris »...Cruises in the morning and the afternoon. 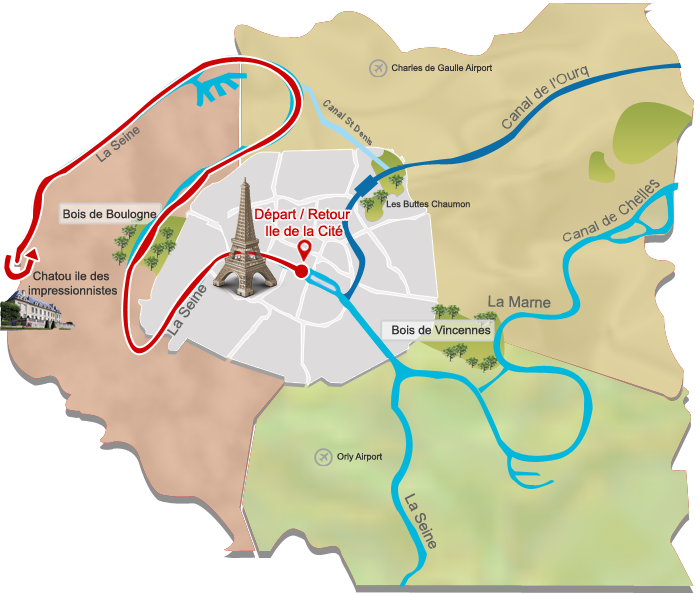 SPECIAL INTERNET OFFER ! 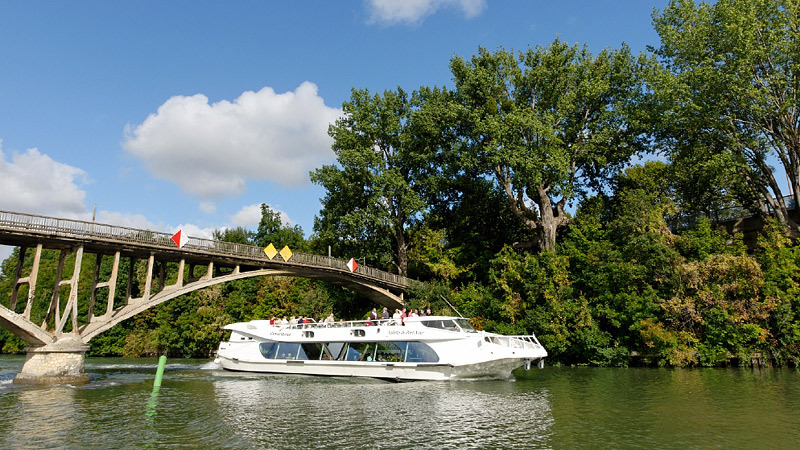 Come on board for the Parisienne Cruise on the Seine River, a 1h30 commented trip in the Center of Paris by the Seine ! SPECIAL INTERNET OFFER ! 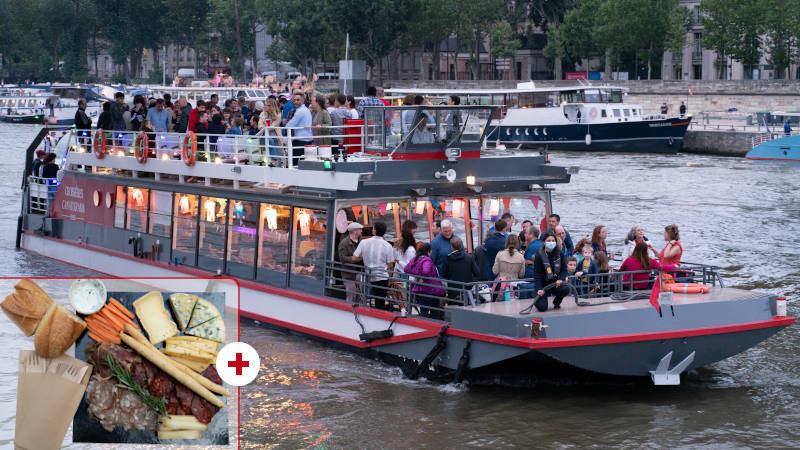 Starting at the Île de la Cité, sail on a boat with terrace for a 1h30 complete Tour of Paris by the Seine, with a French cold cuts & cheeses board ! 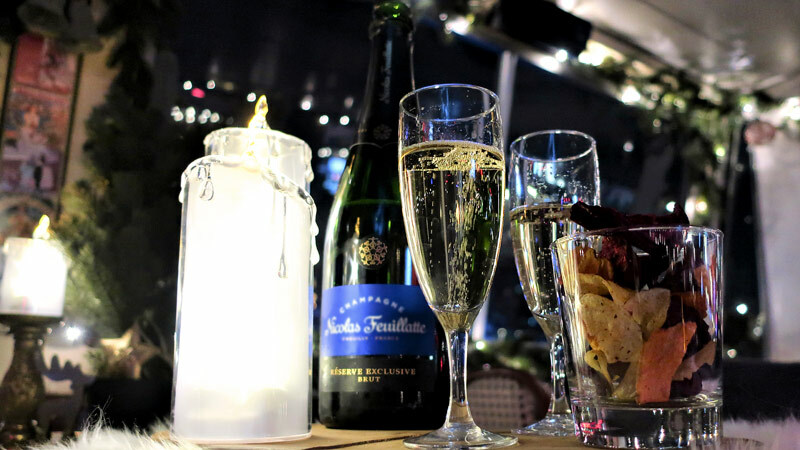 SPECIAL INTERNET OFFER until 19/04 ! 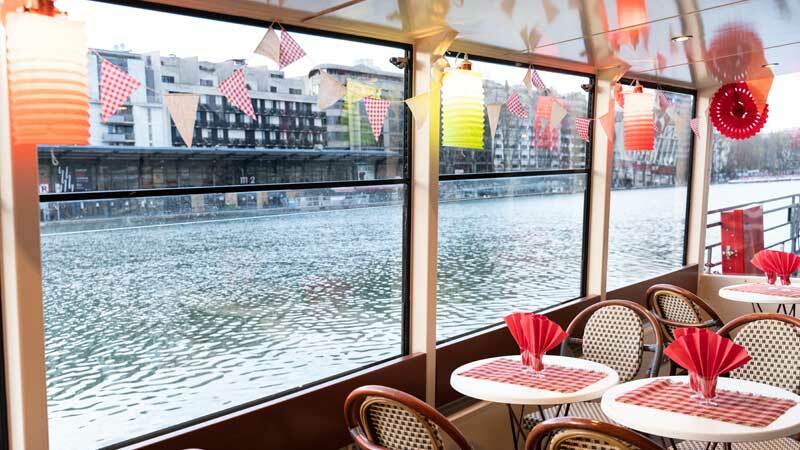 Indulge yourself with a gourmet break with this unique and unusual cruise which combines the charms of the Saint-Martin canal and the Seine river of the historical Paris, while tasting crepes. 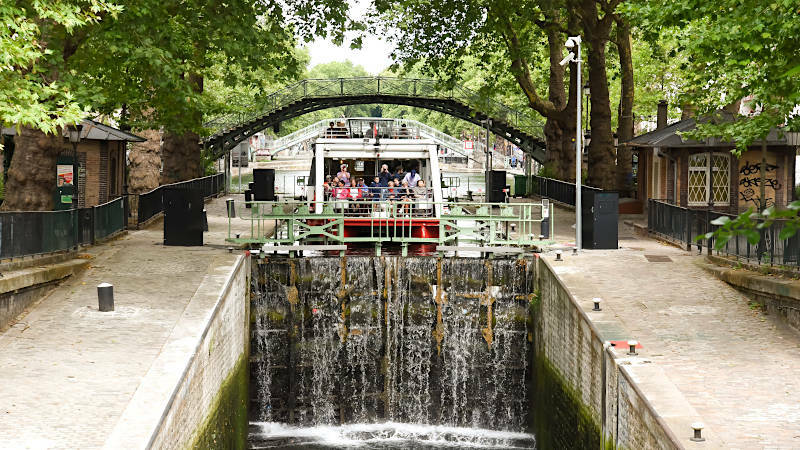 A day to discover the secret marvels of the Ourcq canal, from the Bassin de la Villette to the green settings of the “Parc Forestier de la Poudrerie”. 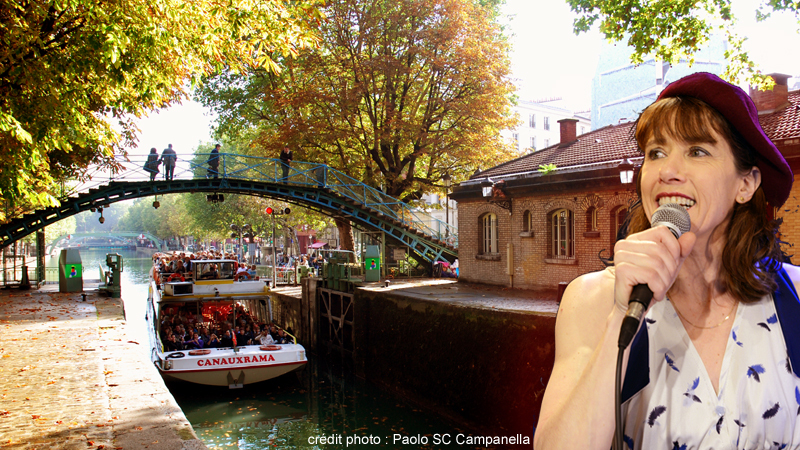 Discovery of the "Parc de la Poudrerie"
Cruise "Aperitif on the Canal"
A commented cruise on the Saint Martin Canal by day or by night, and the french and parisian famous songs with our Live singer. 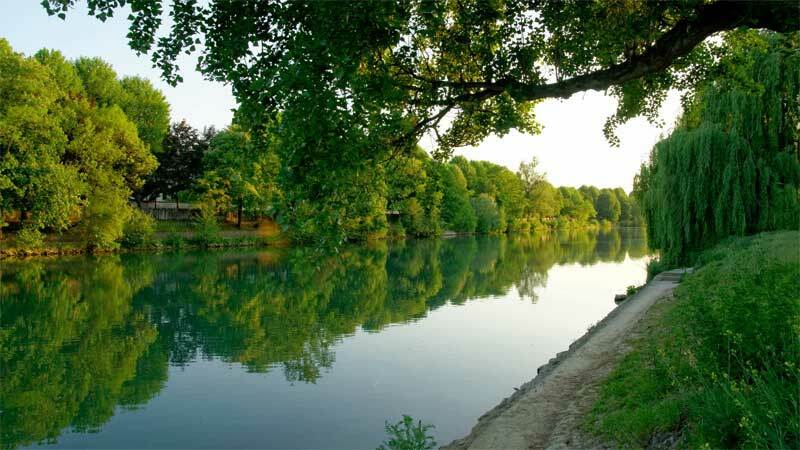 On the Banks of the river Marne « The lands of guinguettes » from Paris to Bry sur Marne, in an environment haversack, a green full day cruise. 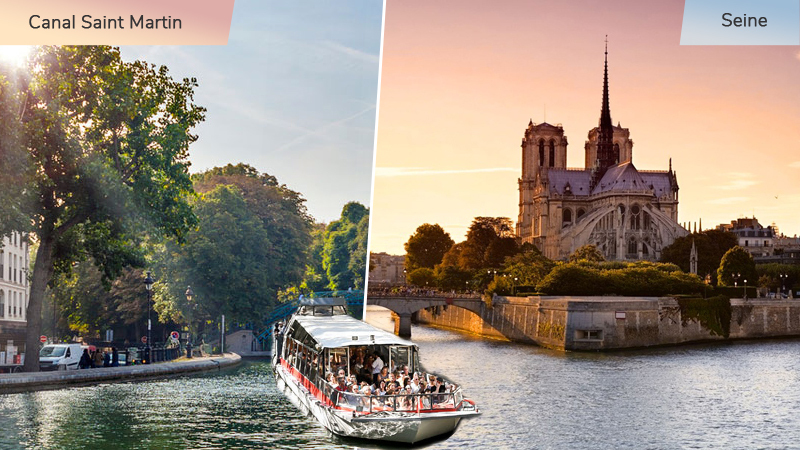 A country boat trip in the land of "guinguettes"
Dancing afternoon on board, or "Chez Gégène"
Commented cruise of one day from Paris to the Chatou, with lunch at the Maison Fournaise restaurant on the Impressionists Island and return to Paris with accordionist. 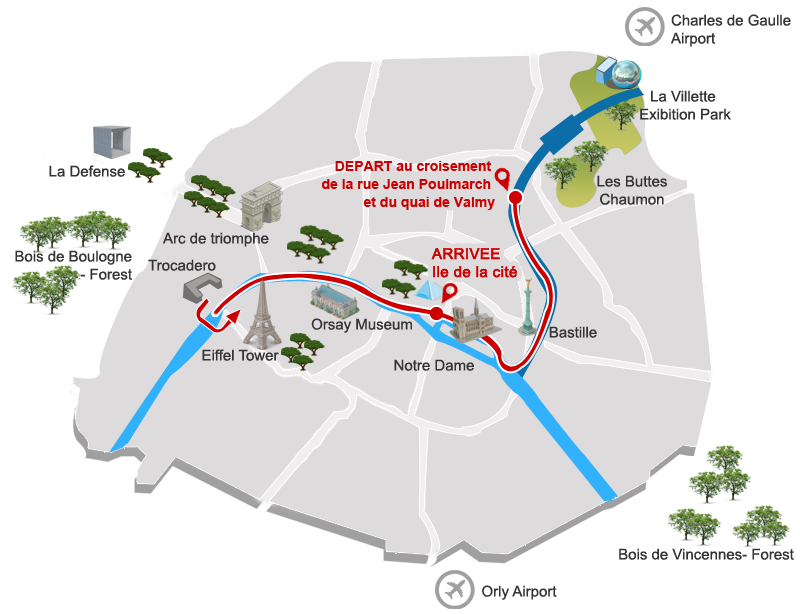 A day by the Seine in the land of "Impressionnists"
One day cruise on the Ourcq Canal from Paris to Trilbardou with stop for lunch in a restaurant at Claye Souilly, horsa drawn activity, visit the pumping station of Trilbardou and return to Paris by bus.